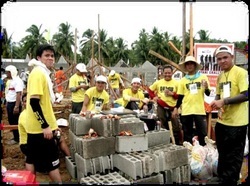 The urgent call of building this nation will be answered once again this March 23 – 27, 2013 as we challenge to bring the biggest, most massive multi-sectoral showcase of volunteerism all over our country. 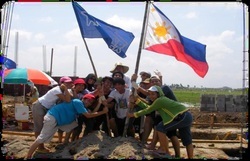 Bayani Challenge 2013 will activate the spirit of Bayanihan on the widest scale ever as we gather 74,000 volunteers in 33 different provinces nation-wide. 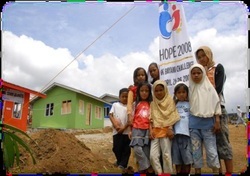 This event will challenge more volunteers and partners to change lives, bring hope to others, and build sustainable communities not only in times of disaster and tragedy. 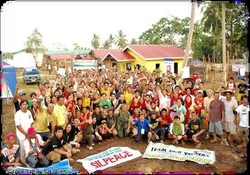 Bayani Challenge 2013: Isang Bayan, Isang Bayanihan also offers a unique opportunity for partners to be part of a nation-building movement in a relevant and radical way. As volunteers engage in vivid and unforgettable real life experiences, they also take home with them the brand values that will come alive as the event unfolds. Partners are also given the opportunity to have direct contact with consumers as they work hand in hand in forging the building blocks of this nation. In February of that year, rains caused a mudslide to cover an entire barangay in Ginsaugon, St. Bernard. 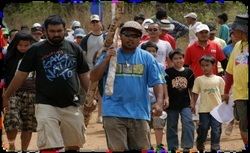 Restoring the dignity of indigenous people and caring for their environment. With a battlecry to “Leave no one behind” for the place and people shunned by the world because of terrorist kidnappings.